High-Performance Computing has lately enabled multimillion atom simulations in nanoscale systems. In this project, we will simulate KRAS, a protein, which is mutated in 70% of human cancers in contact with a model cell membrane. The goal of this project is to gain an atomistic and quantitative understanding of the binding conformational landscape of the wild type and G12D mutant K-Ras with the membrane. The outcomes of this project are expected to uncover new target binding sites for drug design. 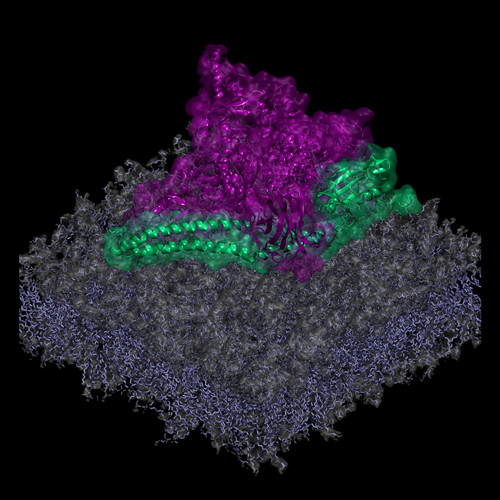 To test the mechanism of KRAS overactivation, enhanced sampling MetaDynamics Molecular Dynamics simulations will be used here to examine the dynamics and conformations of the mutant PI3Ka protein as they occur in microsecond simulations. The dynamics and structural evolution of this oncogenic protein, as described by our simulations, might reveal possible binding pockets, which will be then exploited in order to design small molecules that will target only the oncogenic mutant protein. Both atomistic, as well as coarse-grained simulations, will be used in order to sample the conformational changes of the protein. Learn how to set up and perform enhanced MD simulations. Analyze enhanced MD simulations with standard tools. Develop own tools and scripts for MD simulation analysis. Understand the protein function and dynamics. Natural science student (Chemistry, Physics, Engineer) that have familiarity with or want to learn how to perform computer simulations. Basic programming and Linux OS skills would be desirable. Week 1. Perform GROMACS and PLUMED Tutorial. Familiarize with Linux OS. Week 2. Setup the protein system. Read the literature on KRAS. Week 3. Submit the Work Plan. 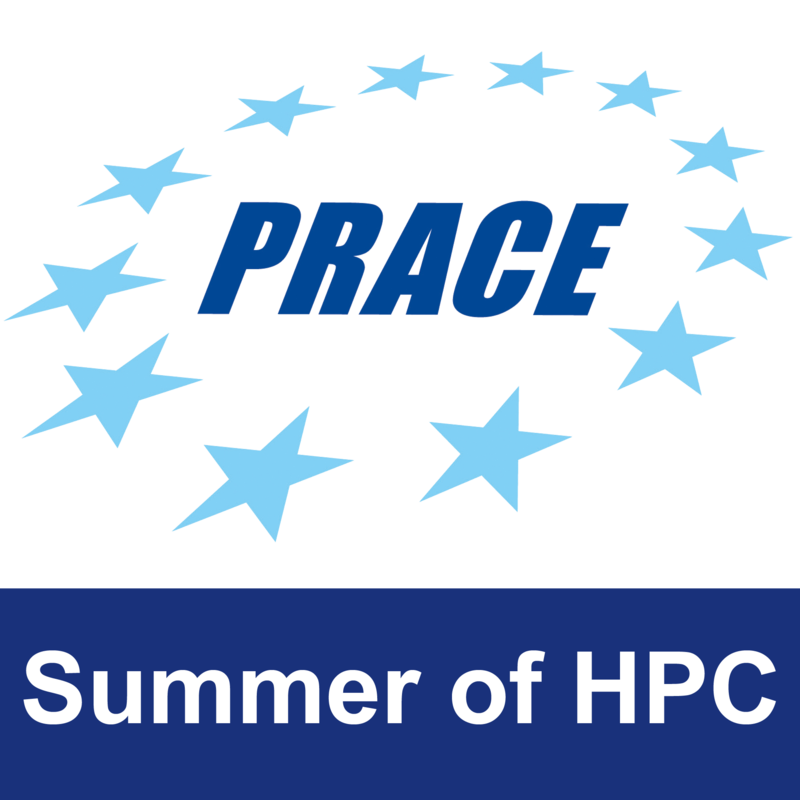 Familiarize with HPC resources on ARIS, creating and running batch scripts. Submit the MD jobs. Week 4. Familiarize with analyses tools and perform test calculations on the trajectories. Week 5. Produce enhanced sampling MD trajectories. Week 7. Rationalize the results and gain insights into the mechanism of KRAS mutant function. Week 8. Write the final report. Mechanism of KRAS attachment to a model cell membrane. The student will need to have access to ARIS supercomputer facility, the necessary software and analysis tools to run and analyse the trajectories. Local resources for analyses will be provided (office space and desktop). Greek Research and Technology Network S.A.